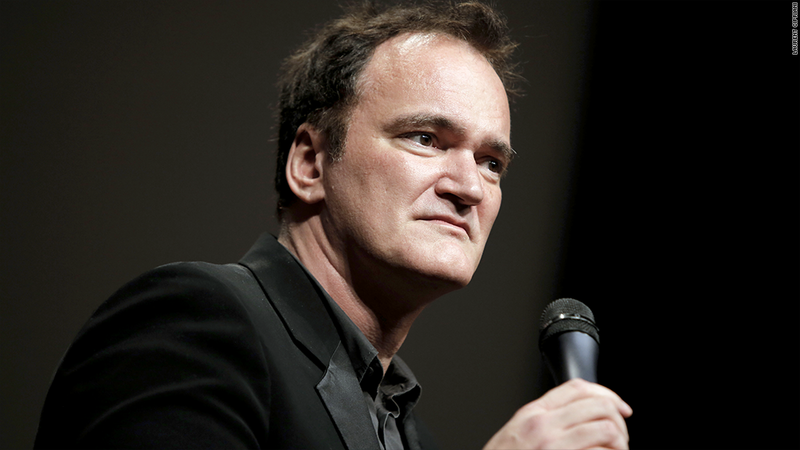 Director Quentin Tarantino won't be taking his latest script to the silver screen. But he is seeking to take the people who leaked it to court. Tarantino -- the actor and director behind "Pulp Fiction," "Kill Bill" and "Django Unchained" -- filed suit against the gossip website Gawker on Monday after his script for "The Hateful Eight" leaked online last week. In a federal court filing, he accused the site of "blatant copyright infringement by their promotion and dissemination of unauthorized downloadable copies of the leaked unreleased complete screenplay." "There was nothing newsworthy or journalistic" about what Gawker did, the suit charges. Although Gawker did not post the script to its own site, Tarantino's attorney charged the script would not have been widely accessible if Gawker had not linked to it. Gawker turned down repeated requests to remove links to download the script, the complaint charges. A Gawker post offering links to the script remained online Monday. Gawker's publisher did not respond to a request for comment. "The Hateful Eight" is a Western, the same genre as his 2012 hit "Django Unchained." That movie won him an Oscar for writing and a Golden Globe for best screenplay. After the script was leaked, Tarantino's spokesman told CNN the director was shelving plans to produce "The Hateful Eight" himself. He told the gossip site Deadline that he had given the script to only six people, including actors Michael Madsen, best known as the killer in "Reservoir Dogs," as well as Bruce Dern and Tim Roth, for whom "Reservoir Dogs" was his breakthrough film. Somehow, the script leaked. It was posted through a site that lets users anonymously upload and download files. Instead of directing the film himself, Tarantino is expected to sell the script and will instead take into production a second script he was working on. The court filing, from entertainment industry lawyer Martin D. Singer, said damages could be in excess of $1 million.